CasinoToken is giving new players 10 No Deposit Free Spins on registration. If you are curiously looking for some freebies on the internet streets, then register at CasinoToken to claim 10 CasinoToken No Deposit Free Spins on sign-up! New players can also claim a whopping Welcome Bonus Package of €/$1000 + 250 Free Spins. Why do we love CasinoToken? CasinoToken is an online Bitcoin Casino, with a smiley Casino Chip as their mascot. CasinoToken offers a great selection of games from top providers, such as: NetEnt, BetSoft, BGaming, Booming, MrSlotty, and Platipus. 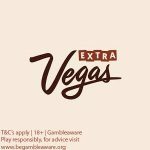 Play your favourite classic NetEnt slots, such as: Starburst, Fruit Shop, Jack and the Beanstalk, Flowers, and EggOMatic. Additionally, CasinoToken has some superb offers, bonuses, and free spins offers throughout the week to give you that extra boost. New players at CasinoToken can sign up for a shiny 10 CasinoToken No Deposit Free Spins after registration. Simply use the links on this page to claim your free spins no deposit. The minimum deposit amount is €/$20. Currencies accepted at CasinoToken: USD, AUD, CAD, NZD, EUR, SEK, NOK, PLN, RUB, BTC, BCH, ETH, DOG, and LTC. Deposit options at CasinoToken: Visa, Mastercard, Maestro, Ecopayz, Neteller, Zimpler, Skrill, Paysafecard, Rapid Transfer, Qiwi, Yandex Money, Bank Transfer, Sofort, Neosurf, Bitcoin, Ethereum, Litecoin, Dogecoin, Bitcoin Cash, CoinsPaid, and wirecard. New players must be 18 years or older to open an account at CasinoToken. The wagering requirement is 50 times for the welcome bonus offers. The wagering requirement is 50 times for free spins offers. Players residing in the following countries are not eligible for the Registration Free Spins: Afghanistan, Albania, Bulgaria, Belarus, Croatia, Hungary, Israel, Lithuania, Latvia, Moldova, Pakistan, Romania, Serbia, Slovenia, Slovakia, and Sweden. 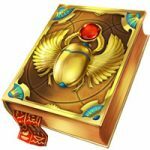 The following games do not count towards wagering requirements when bonus money is active: Brave Viking, Cinderella, The Angler, Stampede, Platinum Lightning/Deluxe, Book of Pyramids, Book of Egypt, Revolution, Domnitors Deluxe, Scroll of Adventure, Alkemor’s Tower, Cleo’s Gold, Arabian Tales, Golden Profits, Princess of Sky, Cherry Fiesta, Once Upon a time, Ogre Empire, Wild Pride, Booming 7, Charms and Clovers, Lava Loca, Fire Lightning, Triple Dragon, Big Apple Wins, Baby Bloomers, Fantasy Park, More Gold Diggin, Booming Bananas, Mega Drago, Booming Seven Deluxe, Fruit Zen, Aztec Treasures, Princess Royal, Aztec Magic/Deluxe, Feng Shui Kitties, table games, Live, Video poker, Poker, Netent and Jackpot games. 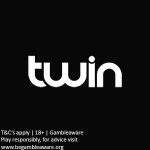 ← Twin Casino | Claim 20 Twin Casino Free Spins No Deposit on sign up!